Climate is a description of long term weather patterns. Climate can change naturally but recent rapid changes in climate have been caused by people increasing greenhouse gases in the atmosphere. People have caused recent changes in climate by increasing the levels of greenhouse gases in the atmosphere. Greenhouse gases cause global warming by preventing heat from escaping back into space. What evidence do scientists use to show that current climate change has been caused by people and how do we know this evidence is accurate? 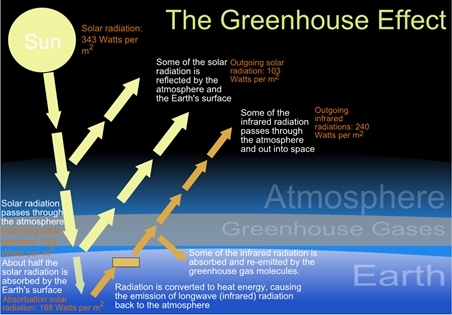 What is the ‘greenhouse effect’? 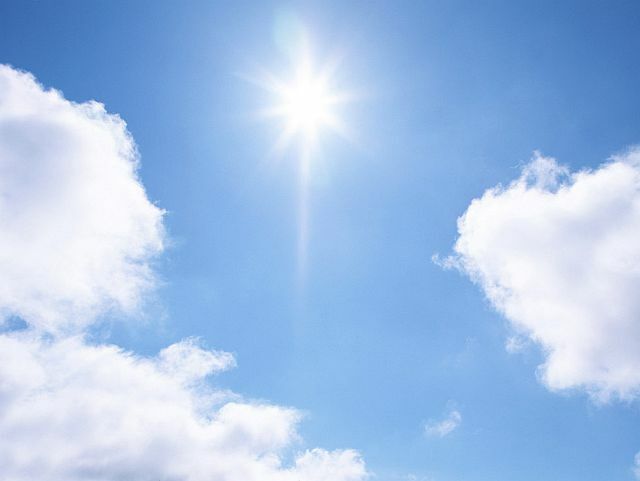 The ‘greenhouse effect’ is what happens when the sun’s radiation is absorbed by greenhouse gases, and is re-radiated back towards the earth. This results in a rise of the surface temperature; A bit like in a greenhouse. One of the greenhouse gases, carbon dioxide, has been increasing rapidly since the beginning of the industrial revolution (1750) when humans started burning greater amounts of fossil fuels (such as coal and oil). Before 1750 (the start of the industrial revolution) the concentration of CO2 in the atmosphere was about 270 parts per million (ppm). The concentration has increased to nearly 400 ppm in 2012. The graph below is sometimes called the Keeling Curve after Charles David Keeling who was the first person to measure this increase. This increase in CO2 causes the man-made portion of the greenhouse effect that has caused global warming. Why is this a useful way of displaying data about carbon dioxide concentrations and why do you think there is such a strong annual cycle? Climate change is a change in long term weather patterns caused by more heat being trapped by greenhouse gases in the air. Image: LEARNZ. This diagram shows how greenhouse gases stop heat from escaping back into space and cause climate change. Image: Public Domain. 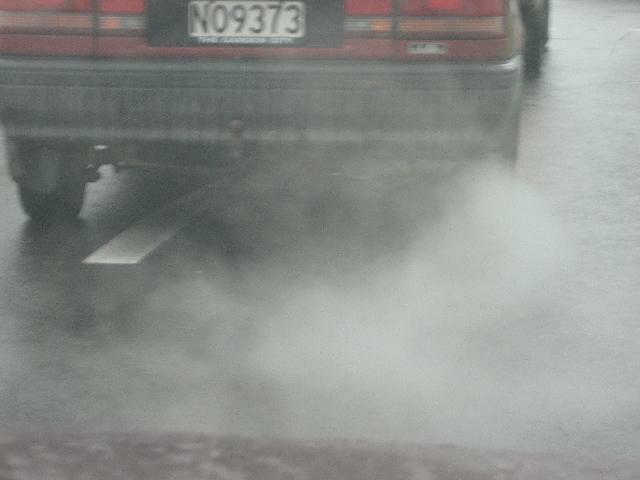 Cars need fossil fuels to run and these emit greenhouse gases. How could you reduce the amount of greenhouse gas you are responsible for emitting. 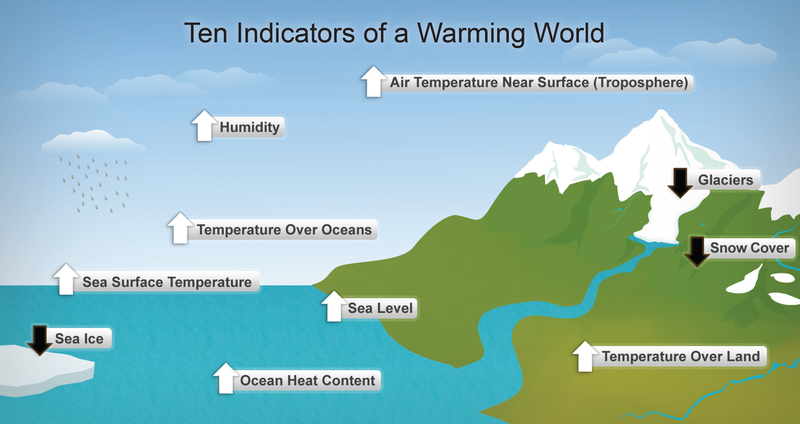 This diagram shows ten indicators for a warming world. How many of these indicators can be seen in New Zealand and in Antarctica? Image: Public domain. Why is 'climate change' a better description than the 'global warming' when describing future impacts of increasing greenhouse gases? How can you help reduce this effect?